Today is day #1 of the transition schedule for your newly minted cadet candidates. By now most of you have heard from them as they got their phones last night. This morning is free time or worship. After lunch it is texbook issue and getting down to the business of getting started. The football players will get their gear today as well. Tomorrow is all briefings, meeting with academic advisors and all the things one does when getting ready to start school, which begins on Tuesday. This is a transition time for WebGuy coverage as well. As we move into our academic year coverage, our blog entries and photos will move from daily to periodic. There is much to cover during the year, but it won't be daily. There will be something every week, however in one of the three main areas of prep training. Academics, Athletics, & Military Training. 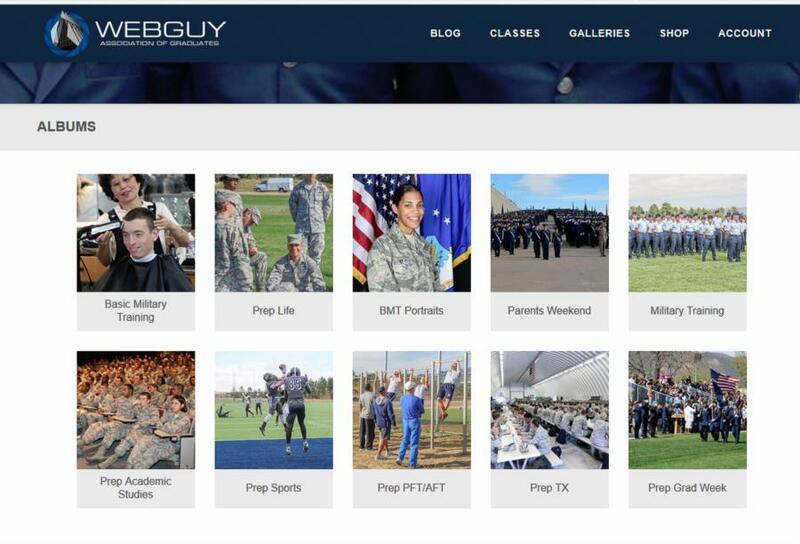 We will use our WebGuy Facebook page to give you updates and our blog and galleries here to provide all the detail and photos, so check back often. All the photos from yesterday's end-of-BMT events are now up in the Basic Military Training gallery, which is now complete. Going forward you will see more icons when you go to look for photos. Here is what it will eventually look like by the end of the year as we add more photos in different categories. As you can see, there is much more to come. Ok. That's it for now. It has been a pleasure being your guide through BMT. Enjoy the photos. Here are a couple of videos from the end-of-BMT events to close out our BMT coverage. Bye for now!